A gunmaker is suing the ATF for claiming the company is selling a gun silencer. 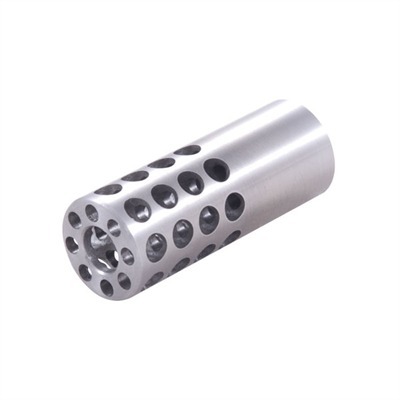 Gunmaker Sig Sauer said that the ATF wrong classified its “muzzle brake” as a silencer. Manchester attorney Mark Rouvalis and Virginia attorney Stephen Halbrook. By classifying it as a silencer, sales will drop significantly because people won’t want to deal with the “required burdens” that come with a silencer. Did Russia Hide Information from FBI on Boston Marathon Bomber? Posted: 4/10/14 at 11:17 AM under News Story. It’s not just the “required burdens” that is the problem. Why would anyone want to pay $200 for a tax stamp for a “silencer” that makes the firearm louder and not quieter. Muzzle breaks, for the most part, make a firearm louder and not quieter. The ATF already got their hand slapped earlier this year in US District Ct over classifying a muzzle break as a silencer based on looks and not performance. Sig has a strong case IF the actual facts are examined.